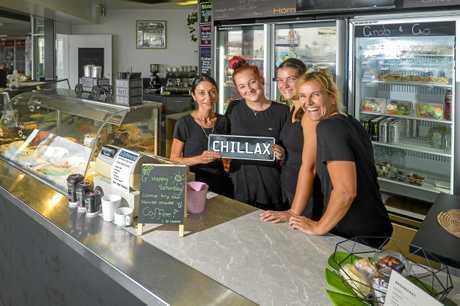 FEEDBACK from the re-opening of the Chillaxin' Café has amazed owner Shelly Strange. "It's been phenomenal," she said. "The customers were really excited to see the store re-open. "I can't walk through the shops without someone stopping me and congratulating me." 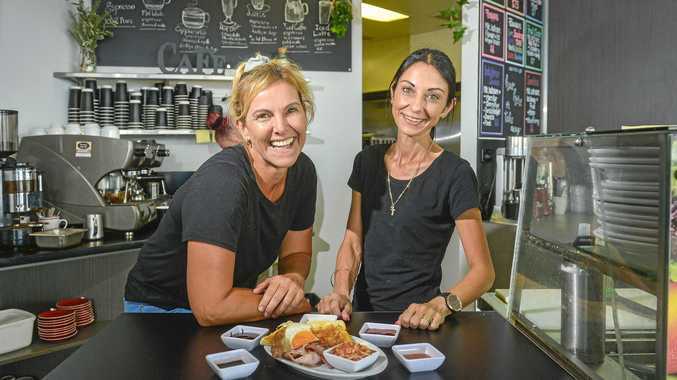 The popular cafe closed in November and re-opened this week. "It had been here for six years and I'd bought it in January three years ago," Ms Strange said. "Late last year I made the decision to put the shop up for sale and it had been sold due to some conditions being met on the contract. "Everything was sailing along fine, but it dragged out for six weeks and the sale fell over." Ms Strange said Centre Management were very keen for the shop to return to the Valley shopping precinct. "I went back and spoke to them and agreed to re-open," she said. "Now we're back, with the same staff, including Chrissie Anderson who has been with the shop since it opened 12 years ago at Stocklands. "She's been here longer than some of our equipment." While Ms Strange is taking a step back to work behind the scenes and to focus on marketing and fundraising activities Ms Anderson is looking forward to stepping up as manager. "I was shattered when the store closed last year," she said. "I love cooking, and really love my customers, especially the old ones." Ms Anderson has made a few changes along with the recent renovations. "We're trying new ideas, like the 'grab n go' fridge and hot box," she said. "It's been really popular so far with people wanting something quick to eat and go. "Each day we'll keep seeing what works and making customers happy. "I hope we're here for another 12 years."